Horror At The End Of The Line. I felt when setting out to write my horror novel, Soul Lifter, that I had two key aims. The first was to steer clear, as best I could, of tales involving vampires, werewolves, zombies and the like. Not that I had anything against these sub-genres, but I was wary of the narrowing scope to be original. In the end, I suppose one of the biggest inspirations for me was H.P. Lovecraft, and the idea that monstrous entities lurk behind the fragile curtain of what we understand to be reality. Here, I saw two opportunities: One was the future freedom to inflict an almost limitless number of terrors on the unsuspecting victims in my stories. Second – and perhaps most exciting – was that it created a window to have a go at creating my own monsters. The being that makes an appearance in Soul Lifter is the first, and I hope to bring to life a few more yet. With this supernatural element set against a series of murders, the police investigation and a journalist’s ordeal which unfold around it, I felt I had my main ingredients. Next up was choosing the right location. And for that I looked to Hull, the city in which I was born. Just as the likes of Nick Quantrill, David Mark and Russ Litten have drawn on industrial decay and the toughness of its people in crafting an impressive and increasingly healthy body of crime fiction in the soon-to-be city of culture, I saw a prospective home for horror. 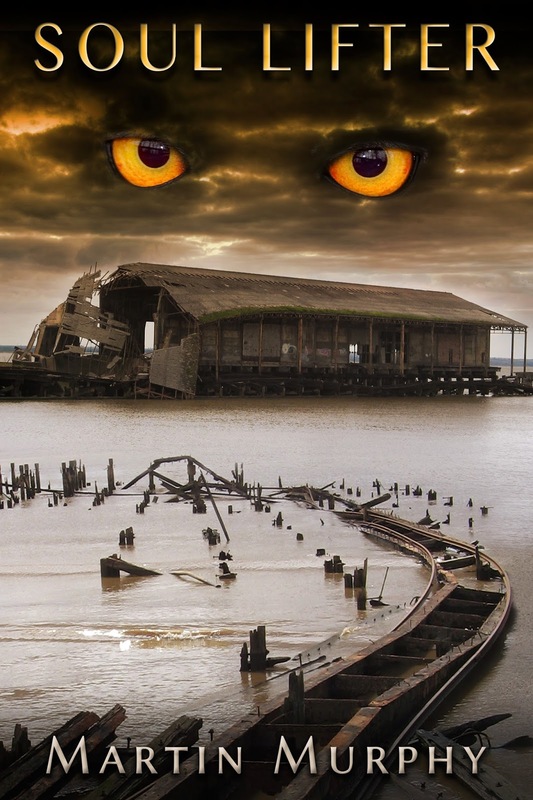 I wondered at what could lurk in some of the ramshackle, derelict buildings found among its once-vibrant docks, in the corners of the abandoned old fruit warehouses and mills. And there was the fact that it lies on the coast. In this time of flash flooding, I knew there would be scope to build on a worsening undercurrent of fear – play on that sense of a city under siege. And, just as Dracula’s Russian ship, the Demeter, was said to have come ashore fifty miles or so to the north at Whitby, I saw the future potential to import something horrific into Hull from the Humber estuary. Meanwhile, its location means it is at the end of a line on the rail network. I’m just starting out on my trip, and on the lookout for travelling companions. I hope you’ll join me.